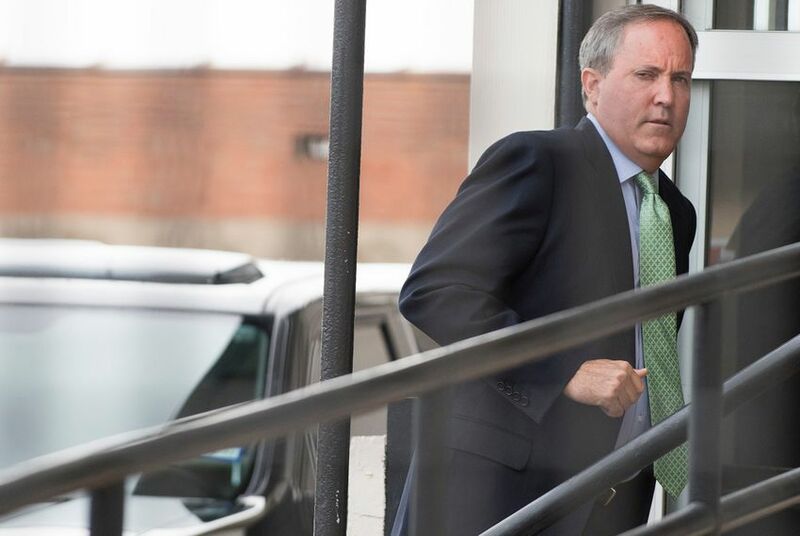 Fighting federal civil fraud allegations, Attorney General Ken Paxton is zeroing in on state Rep. Byron Cook's credibility in a new push to discredit the latest claims. The suggestion in the Wednesday filing is that Cook, in an interview after the first complaint was filed, changed his story to make the arrangement seem more formal, bolstering the "fiduciary duty" argument. Adding to the drama: Paxton's lawyers say the SEC has already admitted to "steering" a witness in its interviews, an admission that came in its refusal to hand over case materials. Terry Jacobson, a lawyer for Cook, denied the suggestion in the Wednesday filing. "He hasn't changed his story, and nobody has asked him to," Jacobson said. Since the start of Paxton's legal troubles more than a year ago, he and his allies have suggested Cook is still bitter over the 2014 Republican primary for attorney general. Cook backed Paxton's opponent in that race, former state Rep. Dan Branch of Dallas. "It's not a coincidence that the chief witness against me in these charges is a political adversary of mine," Paxton said in a video released ahead of a court hearing in May. "Some folks are still upset that their moderate candidate didn't win." That theme briefly surfaced again in the filing Wednesday, which noted Cook "is reported to have supported Mr. Paxton’s opponent in the Republican primary for the Attorney General nomination." Mazzant has not yet ruled in the revived SEC case — Paxton's team wants oral arguments — but it's only half of the attorney general's legal problems. His trial on state criminal charges is expected to begin as early as next spring. U.S. District Judge Amos Mazzant threw out the SEC case against Paxton in October, giving him a big legal victory. The SEC revived its case against Paxton by filing amended allegations two weeks after Mazzant dismissed the initial charges.